Hi there, and welcome to a new week! I hope yours is off to a good start. Here are a few pretty things I've found this week. 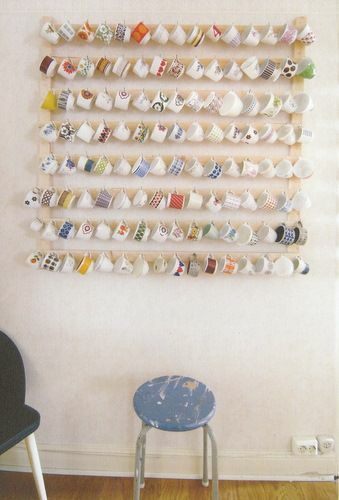 I love this idea for displaying cups! I collect mugs and teacups, and this would be a great way to enjoy them even when they're not in use. This photo by R. Prunin, taken in 1950, gives me the giggles. 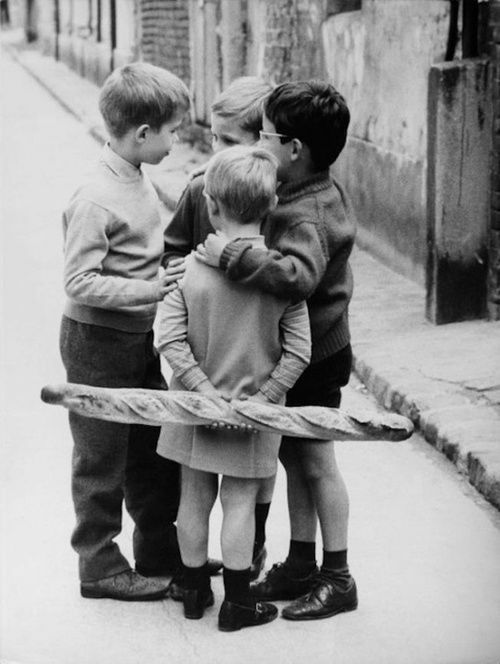 These little guys are obviously conspiring... and there's a baguette involved. 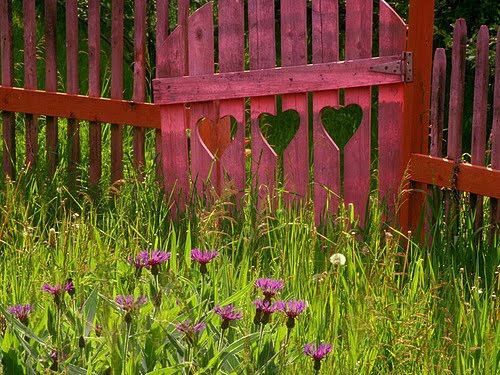 Wouldn't this gate be the sweetest thing to come home through? 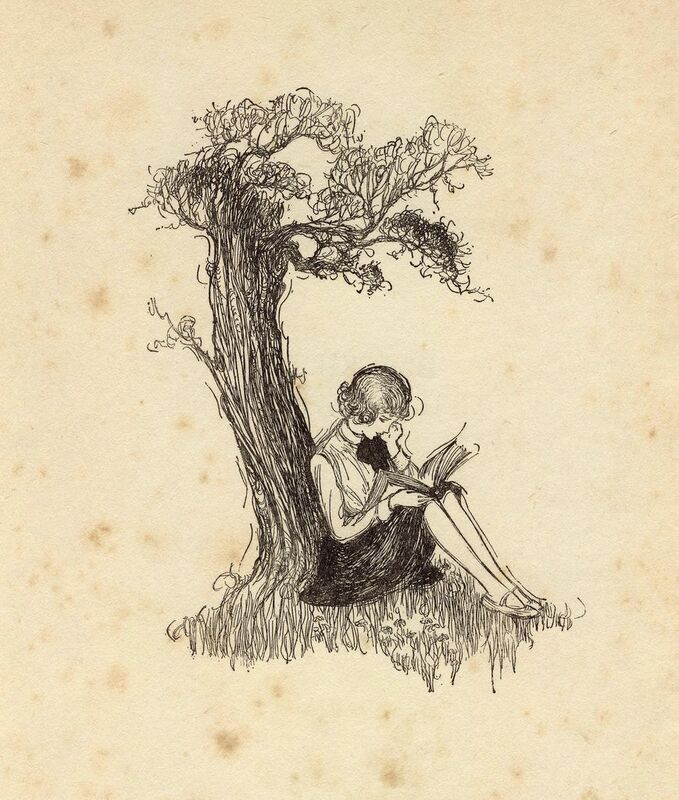 I love this pretty vintage illustration by A.H. Watson. 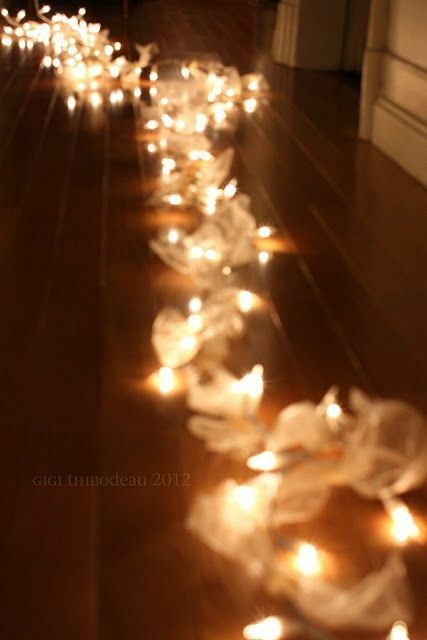 These twinkle-lights have tulle bows around the cord-- it diffuses the light in such a soft, lovely way. 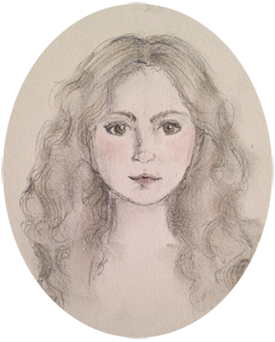 It's snowing here-- I'm going to curl up in a cozy sweater with some tea and knitting.